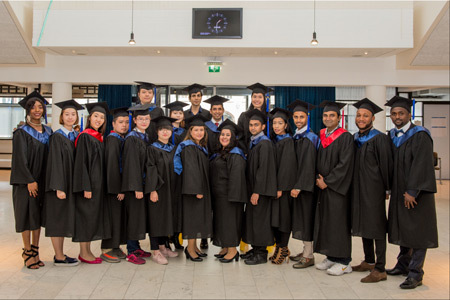 On Friday 14 July Wittenborg University of Applied Sciences honoured its latest group of international graduates during the 2017 Summer Graduation Ceremony at the Apeldoorn City Hall – the same venue where it will celebrate its 30th anniversary on 10 November later this year. 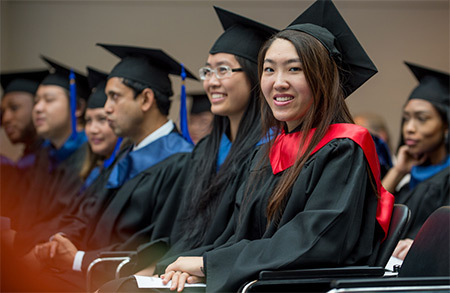 This semester there almost 30 undergraduates who received their hard-earned Bachelor degree as well as a MBA graduate and a MSc graduate. They are from countries as diverse as Mexico, Nigeria, Iran, China, Bangladesh, Germany, Canada the Netherlands , Vietnam, the DRC (Congo), Brazil, Israel, Zimbabwe, Turkey, Hong Kong, Nepal, Serbia and Pakistan. For some graduates it was also a celebration of making the impossible possible as many faced incredible odds along the way – from surviving as a refugee to juggling full-time jobs while studying. According to Pollob Skider from Bangladesh he learned a lot about himself at Wittenborg. "I learned that I can be independent and discovered so much about my own abilities." Almost all students thanked their parents – many of whom couldn't travel to Holland for the ceremony. The Mayor of Apeldoorn, John Berends, who was a guest speaker, urged graduates to maintain their spirit of adventure. "You did something extraordinary. As an international student you had the courage to move away from everything that is familiar to you: your country, your friends and family, your pet! Some of you might not have been home for years. Maybe you experienced loneliness, culture shock, financial insecurity, the Dutch language, the Dutch weather! But here you are today. You made it. Congratulations!" Berends also commended the graduates for choosing to study in Holland. "The Netherlands is continually listed as one of the happiest and safest places to live in the world." Wittenborg's chair of the executive board, Peter Birdsall, sent graduates off with the message to stay in touch. He also used the opportunity to announce that Wittenborg's IBA programmes has just been accredited for another 7 years by the accreditation body FIBAA. Wittenborg's Academic Dean, Maria-Kecht, told graduates studying at an international institute in the Netherlands has forever changed the way they look at the world. "The problem is that once you have been in a multicultural educational setting and thus been lifted out of the familiar context, you cannot change back to an earlier stage. Nobody can undo your having absorbed the colorful world of a “comparatist”-- you no longer see things in black and white, and you know that there are many different ways to approach an issue and find solutions to problems. "It also means, however, that you are now filled with far more doubts than when you started out your journey; you have second thoughts before you pass any judgment because you know there is more than just ONE right way! You have become a more mature, a more open-minded, and a more circumspect individual!"